Only those who have always done their duty get furloughs. Day By Day entries will be added for any days, during this period, where interesting information can be found on the activities of the regiment. Period military map showing the approximate route of the 16th Ohio into Vicksburg, through the city and to the approximate site of their camps (2) from July 25 to August 13, 1863. 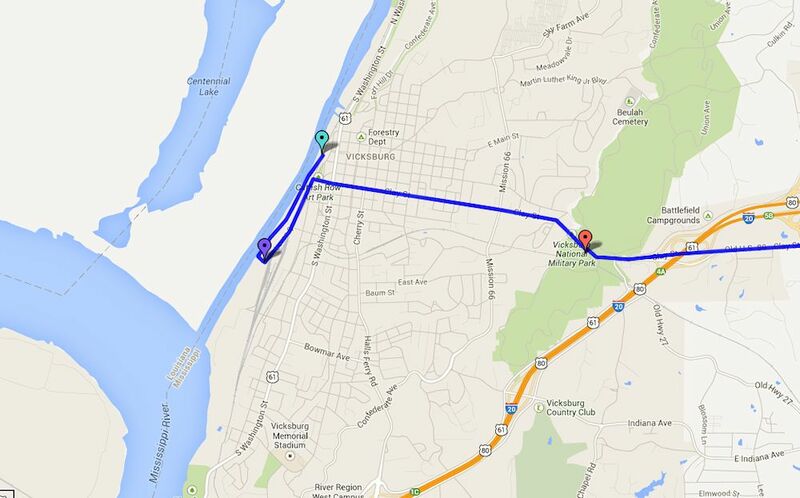 Modern day map showing the approximate route of the 16th Ohio into Vicksburg, through the city and to the approximate sites of their camps (2) from July 25 to August 13, 1863. Red pin - Approximate location of the 16th Ohio's campsite on the night of July 24, 1863. 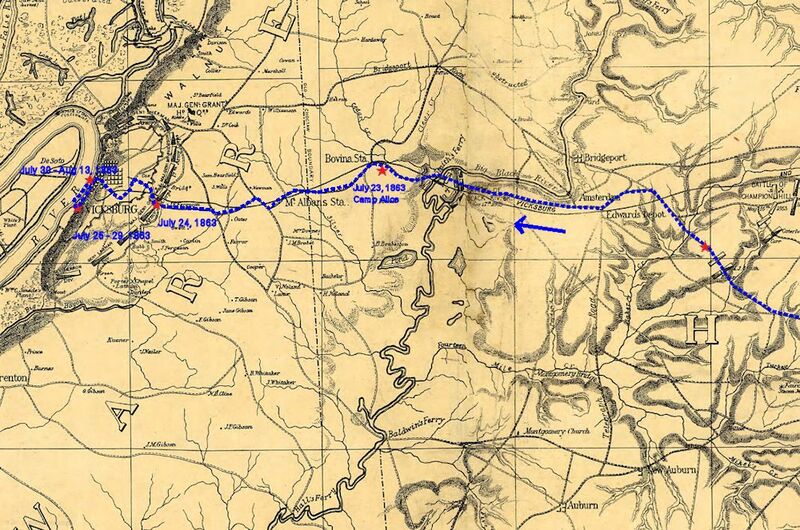 Purple pin - Approximate location of the 16th Ohio's campsite from July 25 to 29, 1863. Aqua pin - Approximate location of the 16th Ohio's campsite from July 30 to August 13, 1863.